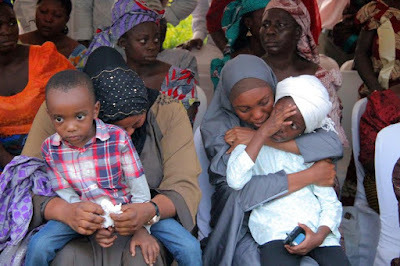 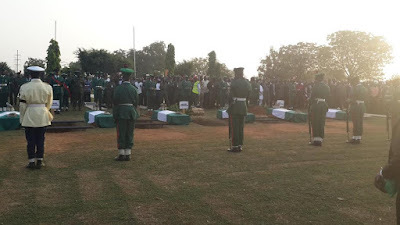 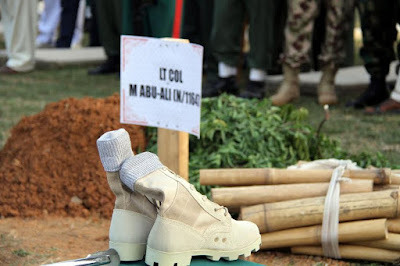 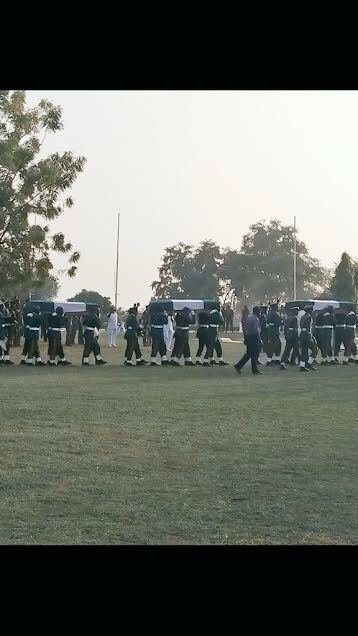 Seven soldiers who were killed by Boko Haram last week Friday in Mallam Fatori in Borno state were laid to rest yesterday amid tears. 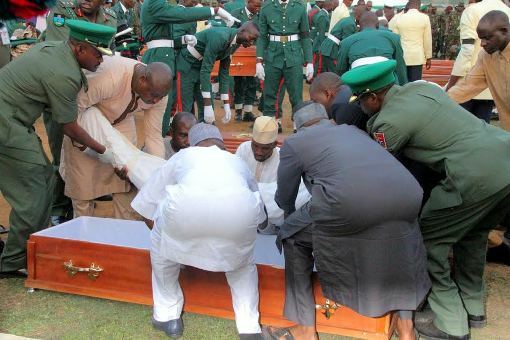 See more photos from the funeral which took place at the National Cemetery. 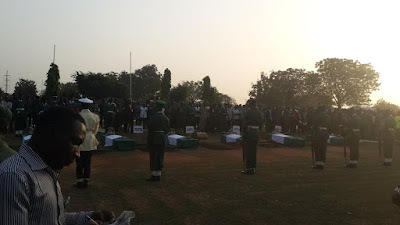 May their soul rest in peace.